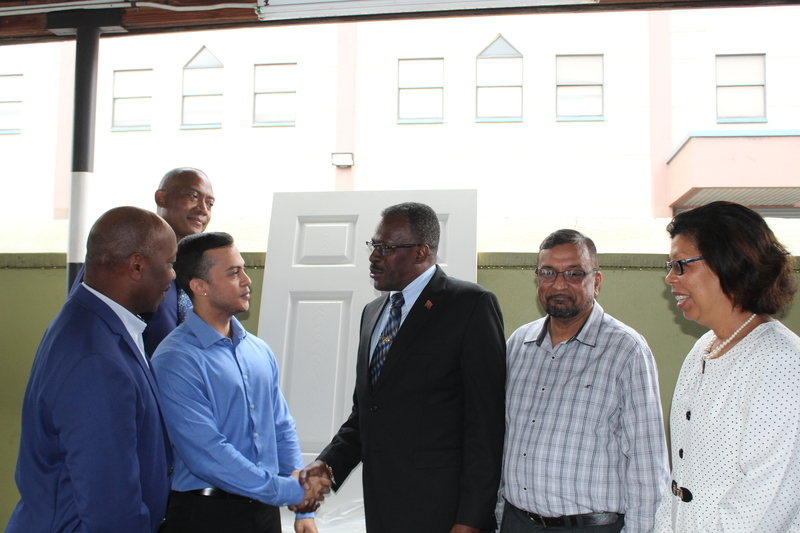 Today, Wednesday, October 31, Housing and Urban Development Minister, Major General Edmund Dillon, received one hundred (100) doors and associated fixtures from Bhagwansingh’s Hardware. 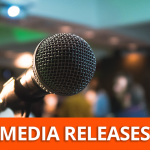 This donation will be used by the Housing Development Corporation (HDC) as part of its repair and recovery programme for the units at Greenvale Park and Oropune Gardens which were damaged by the October 19 floods. 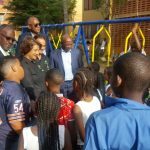 As part of its commitment to help the residents of both Oropune Gardens and Greenvale Park recover, the HDC will conduct all the necessary plumbing, electrical and structural repairs to affected units in these communities. HDC Chairman, Newman George and HDC Managing Director, Brent Lyons also witnessed this donation which was made by Andrew Bhagwansingh and Balliram John on behalf of Bhagwansingh’s Hardware. 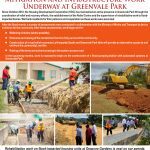 The HDC remains committed to working with the residents of both communities, particularly Greenvale Park, as they rehabilitate their homes on the road to recovery.